You read that right, the great PC fire. 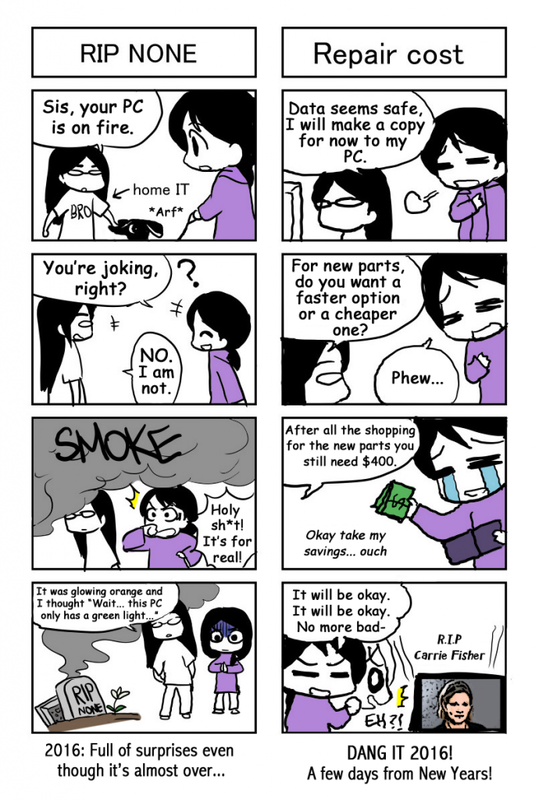 On Dec 13, 2016 Mayshing’s PC, our main studio computer combusted. 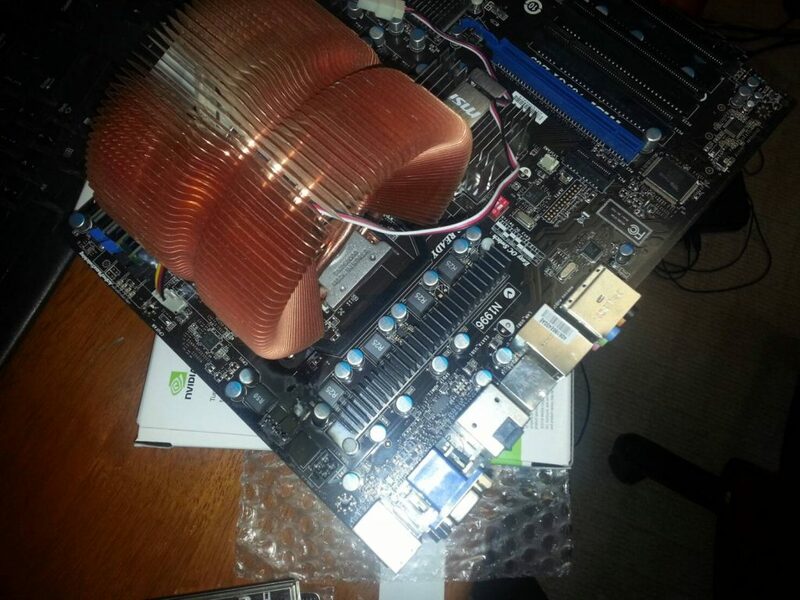 Burning metal and smoke filled the place but thankfully the hard drive is okay. 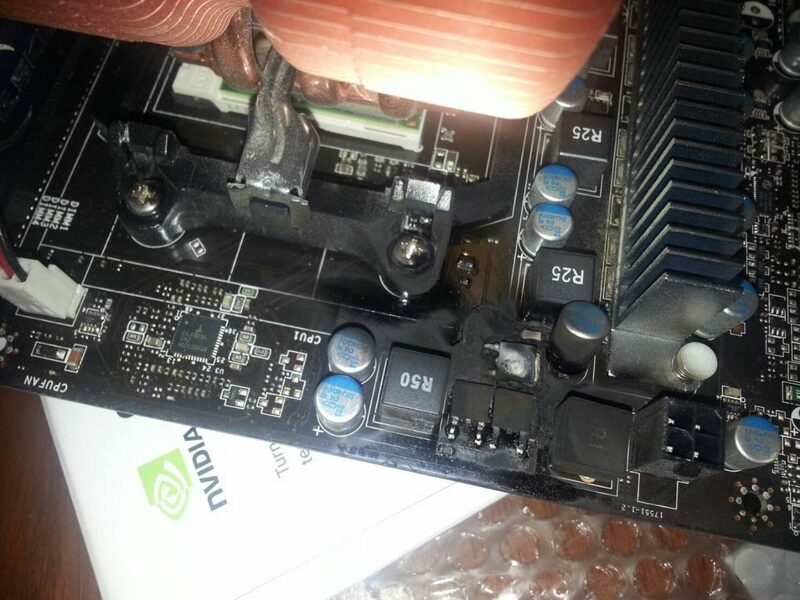 However the motherboard was toasted, er melted, but we’re working on accessing those work files that are essential to our games and other projects. Release of the game will be a bit delayed perhaps by a month or two as we get on top of lost assets and time. The game WILL be released in the first part of the year since we’re in the middle of programming and testing. This just means having to wait until March-April at least due to the delay and recovery. All comics’ return will be delayed until March at least due to this development. Thankfully we have backups of a lot of stuff but it still threw a wrench in the production’s time frame due to lost days of work. 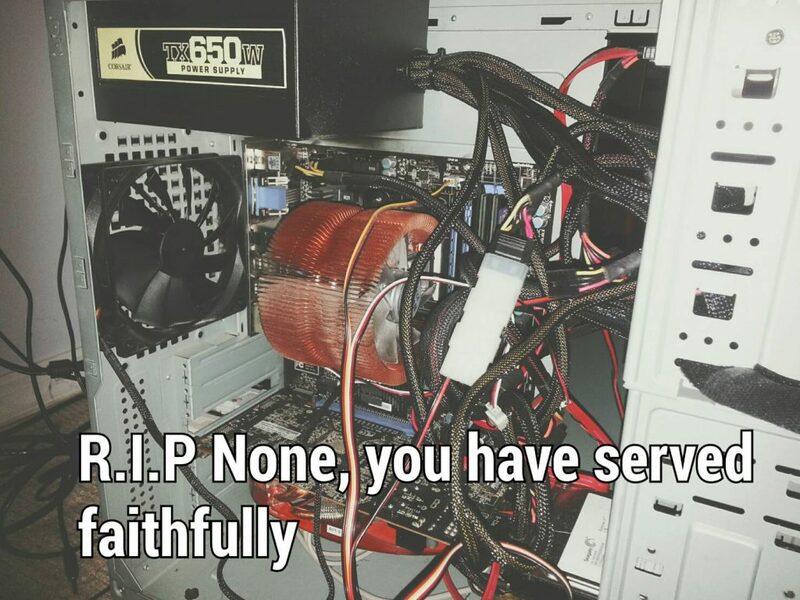 In the meantime there’s a special tier on Patreon to help pay for the funds towards a new computer here.